If you think you’re having a bad day spare a thought for Sam Rees, with a 90mm nail embedded in his crotch. 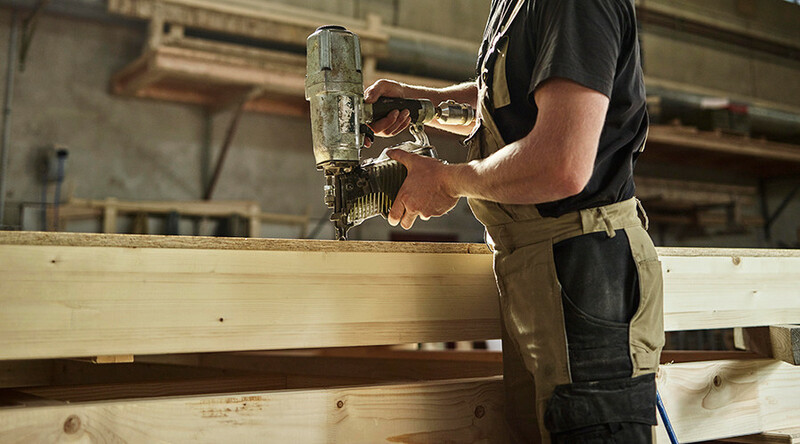 Surprisingly, the builder wasn’t too fazed by shooting himself with a nail gun, claiming the hospital drip felt worse than the pain in his pants. “I was using a nail gun outside and unfortunately I was using it to fire something towards me and the nail just ricocheted and went into my groin,” 22-year-old Rees told The Sun in a description of the incident that will leave many puzzled and questioning why he was ever allowed to use the tool in the first place. The nail was embedded 70mm deep in the mishap at a construction site outside Swansea, Wales. Luckily for us his colleague Matthew Meagher reacted quickly to the accident, capturing the horrific moment on camera before the injured man was rushed to the hospital. “He wasn’t crying or screaming in pain or anything, he was just dead calm. It hadn’t fazed him at all,” Meagher said of the incident. Rees underwent minor surgery to remove the nail, which his doctor reportedly said had missed an artery by mere millimeters. The proximity of the nail to a certain area had Meagher worried. “It makes your eyes water. Even looking back I’m flinching. I’m very relieved it wasn’t me. I had a couple of dates coming up that weekend,” said Meagher.